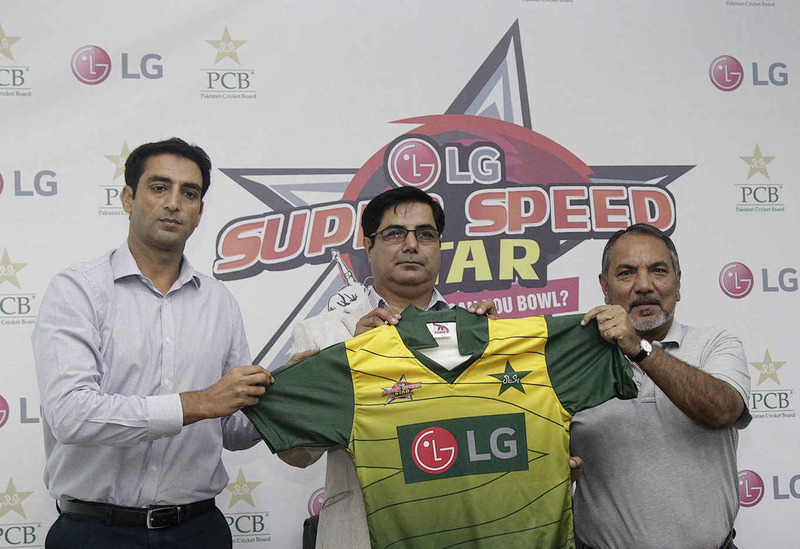 Lahore: In a bid to inspire young talent and solidify the country’s reputation for producing the best pacers in the world, Pakistan Cricket Board, together with LG Electronics, announced the start of the LG Super Speed Star Campaign, a nationwide search for the best young bowlers in the country. The campaign is set to officially get underway on 23rd July with a series of trials taking place in five cities. Bowlers selected during the trials will travel to Karachi and join leading FC bowlers for a 12-day camp with Pakistani great Wasim Akram. The LG Super Speed Star Campaign will run in two phases. Phase one includes a series of trials open to bowlers. PCB-appointed coaches will be on hand to evaluate the young candidates in Peshawar on 23rd July, in Mirpur on 27th July, in Multan on 29th July, in Sukkur on 30th July, and in Quetta on 30th and 31st July 2015. Shortlisted bowlers will advance to the second phase and join leading FC bowlers in a 12-day camp in Karachi. The camp will feature personal training sessions with Wasim Akram, who will be coaching the young bowlers to enhance skill and build stamina. Training sessions will be held in two sessions per day at National Stadium Karachi and the National Cricket Academy Karachi. The camp carries a prize money of Rs 300,000 to be divided among the top bowlers in the camp picked from phase one. “This is an excellent opportunity for young pacers to come forward and learn from the best in the business. Wasim has been a true inspiration for our youngsters and we are very excited about having him join our program. I would also like to thank LG for partnering with us to promote cricket,” said PCB Chairman Shaharyar M. Khan. “LG has long supported cricket and we are proud and excited to be contributing to the development of the game through this new avenue. This is a great chance for Pakistan’s next Wasim Akram to come forward and get noticed,” said Keonhyeong Kim, LG Pakistan branch manager. The LG Super Speed Star Campaign is the company’s latest on a long list of contributions to the cricket world. It comes on the heels of the LG 100 Greatest Fans Campaign, which encouraged cricket fans to share their passion for the game ahead of the 2015 Cricket World Cup and pitted country versus country in a battle to win USD 50,000 worth of contributions from LG Electronics for their Youth Cricket program. Pakistan won that global competition.